Austin's Edgeland House is a unique, triangular home designed by Bercy Chen Studio that is built into the earth and covered with a thick layer of sod. It is highly efficient, and can stay warmer in the winter and cooler in the summer from the added thermal mass and insulation—and you certainly can't see it from the street! The architects excavated 7 feet of soil from the site, and they installed a lush green roof. The home also features a “smart pool,” which provides additional thermal mass that ties into the geothermal heating and cooling system. 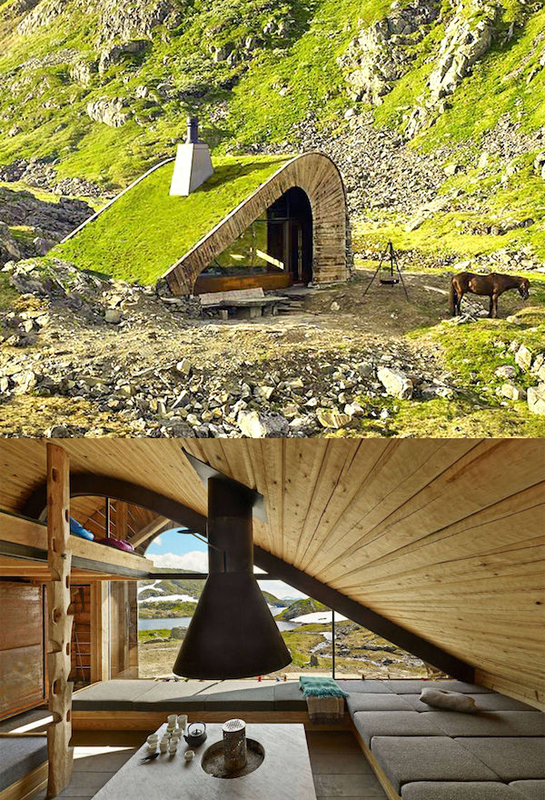 Norwegian architecture firm Snohetta created this completely remote cabin, built out of natural elements like rocks and grass. It is not only secluded, but it practically disappears into the landscape. It's bigger than it looks in the photos—the 376-square-foot cabin can actually hold 21 people, so the architects claim. There's an eye-catching fireplace for guests to gather around, and the beds along the walls double as seats. There's even room near the entrance for cooking and storage. You'll need some stamina to get there—it's on the Åkrafjorden mountainside, so you can only go by foot or by horse, but once you do, you'll love the breathtaking views just the same. 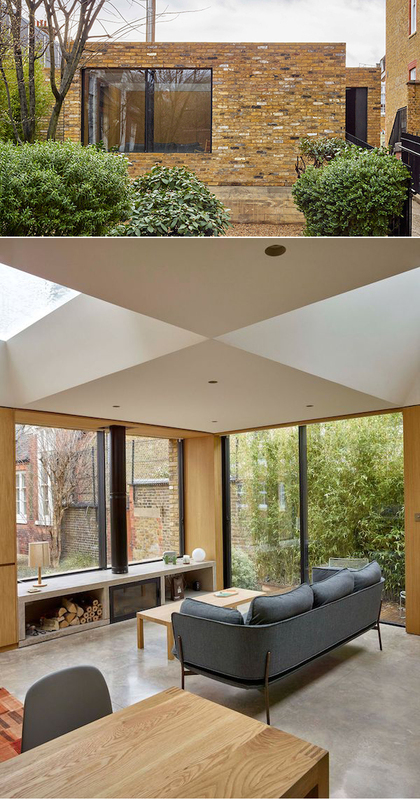 This home, actually dubbed “Hidden House” by the architects, is located in London's Clerkenwell neighborhood and sits atop a former 19th-century Victorian prison vault. The 775 square-foot residence, built by Coffey Architects for Selim Bayer, was specifically designed to not draw attention to itself while maximizing space and light. It is also is simplistically designed—storage is integrated into the walls, bespoke oak furniture matches the oak paneling, and floor-to-ceiling windows open up to a shared garden and a private patio. "This special place is hidden, part building, part garden, mostly sky. It's difficult to find but well worth the effort," said architect Phil Coffey. From outside, the only thing extraordinary about this Texas barn is its enormous size. Inside, however, the 6,600 square foot, two-story structure is an extravagant country man's lair with wood-paneled walls and floors, leather furnishings, and glowing chandeliers. The structure was custom-built by Morton Buildings. 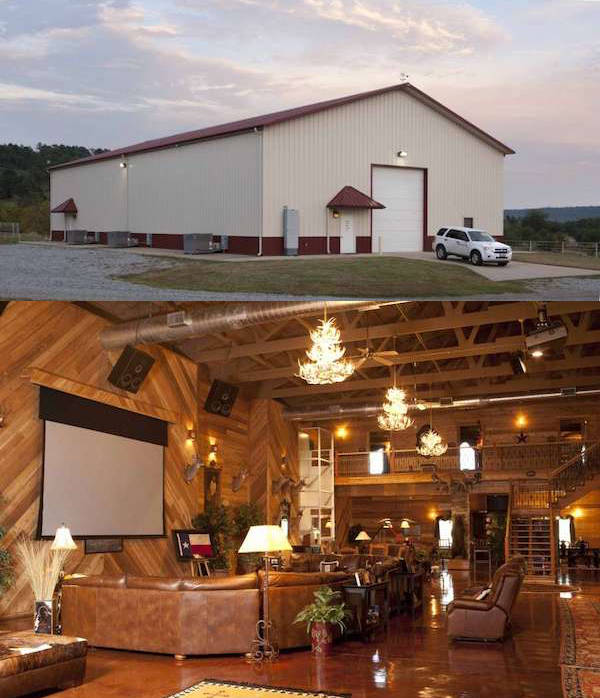 The company repurposes barns like this one into bowling alleys, indoor swimming pools, or swank showrooms. The builders also cater to the wealthy with spacious workshops and eccentric “hobby buildings” that will put any craft room to shame. Berwick residents Jim Perry and Susie Seui call their flat "the hole in the wall," because it is, quite literally, a hole in the wall. 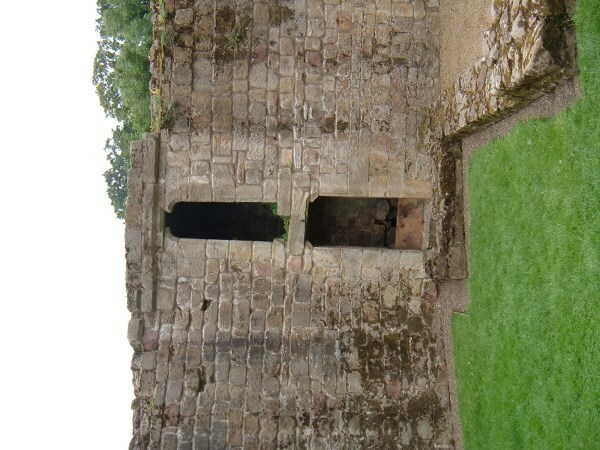 It is one of the few private properties set into the town walls of Northumberland, U.K. The one-bedroom home is reached by a cave-like passage, which has no name and is located next to a similar passage called Sallyport, both of which are cut into the stone wall of the town. Berwick's original city walls were built in the 14th century to provide fortifications during frequent battles between English and Scottish soldiers. A new set of walls was constructed in the 16th century resulting in the destruction of the earlier medieval stonework, and they have been adapted differently over the years. Today, they are home to a variety of businesses, including restaurants and guest houses, and are protected as a Grade I-listed buildings. The couple put their hidden home on the market in July 2016 for £65,000. These quaint luxury villas sit on the roof of a Chinese shopping mall. The houses feature bright blue roofs, pastel yellow walls, wraparound verandas and are divided by white picket fences, while trees and bushes grow in their courtyards and along the pathways between them. 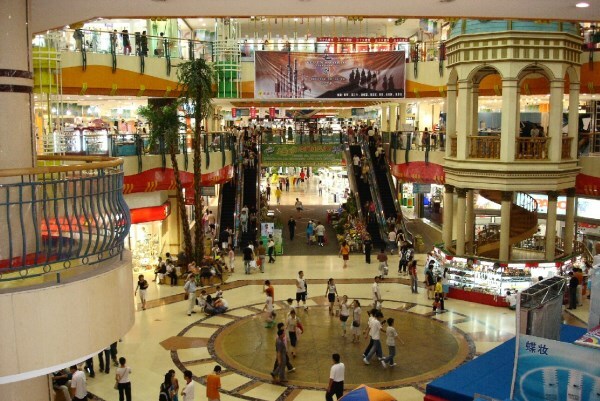 Authorities say developers did not have the proper licenses to build on the mall roof and have banned them from either knocking the villas down or selling them. They now sit in limbo and are used as homes for the migrant workers who helped build them. A home renovation project in Ocean Springs, Mississippi has revealed some interesting findings—namely a home within a home. Developer Karen Bryant purchased the 19th-century house which was listed as a Victorian property but told a very different story when it was gutted—a little cabin was hidden inside the larger home. 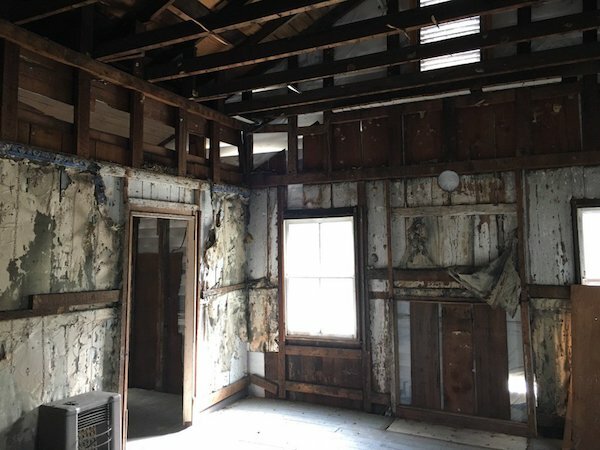 Bryant researched the property and discovered the original structure dates back to the 1850s, and the walls in part of the house were covered in whiteboards, which she says "were commonly used in frontier cabins, settlement cabins. They are cypress. They are white washed for the interior, because it was thought it was a cleanliness issue." The residence was once home to the mayor of Ocean Springs, Frederick Weed, who was in office from 1899 until 1910. It is listed on the National Register of Historic Places. 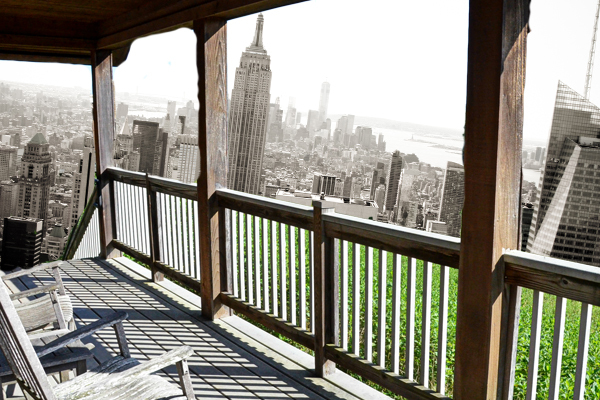 This rustic rooftop cabin is owned by David Puchkoff and Eileen Stukane in Manhattan's West Village. From the street, the building looks like any other, however, from the vantage of a helicopter, you can see a full porch, complete with a dining table, and a beautiful yard. Per a 2006 article in The New York Times, the little cabin is "a glorified bulkhead over a hole punched in the ceiling of the family's loft to make way for a nautical stairway that rises to a landing with a galley-like kitchenette, with two paned windows and a door that opens to the roof. Now, the couple doesn't have to leave the city to hear the slam of a screen door, or watch a flock of mourning doves pecking for insects and seeds across the meadow." It may look like nothing more a tiny office from the street, but behind this unassuming door is an architecturally ambitious, underground home. 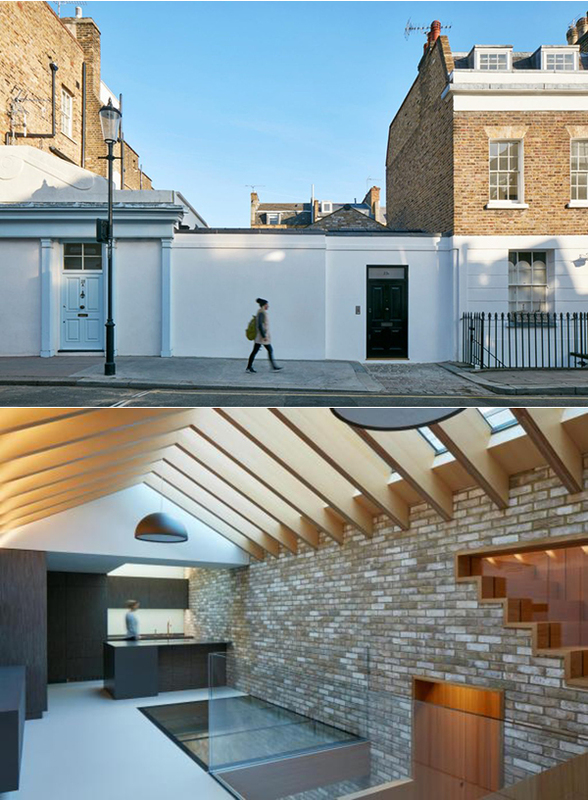 The "Hidden House" in Knightsbridge spans over 2,100 square feet and hides three bedrooms. LTS Architects designed the residence so that passers-by can see none of its fascinating features. The stunning, but secret, abode took 16 months to complete, at the cost of £1.9 million. How cool is this? 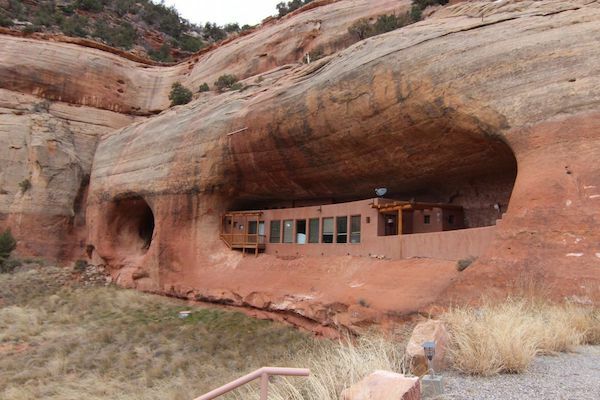 A home has been carved into a canyon in Montezuma, Utah! This unique and secret abode is entirely self-sustaining and features solar panels, a 12,000-gallon freshwater retention system, a multi-acre vegetable garden, orchard, and vineyard with ripe fruits, veggies, and wines for every season. The hidden hideaway, appropriately nicknamed Cliff Haven, was sold at auction in February 2017.